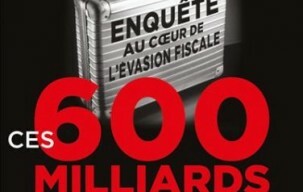 I just finished reading the book “Ces 600 milliards qui manquent à la France“, in which Antoine Peillon exposes some elements of the massive tax evasion that takes place in France, in particular thanks to the diligence of UBS. This is an interesting book, which holds a lot of information and suggests plausible mechanisms behind the systematic evasion business, although the text is at times quite dense and one is left with the feeling that some connections remain to be established or documented. To put the global estimations in perspective, the book mentions the work of Gabriel Zucman, PhD student at PSE and currently on the job market, whose job market paper (The Missing Wealth of Nations: Are Europe and the U.S. net Debtors or net Creditors?) attempts to quantify the amoount of unrecorded financial wealth held in tax heavens around the world. His conclusion is that accounting for the evasion by Eurozone nationals would turn the EU into a net creditor! This paper shows that official statistics substantially underestimate the net foreign asset positions of rich countries because they fail to capture most of the assets held by households in offshore tax havens. Drawing on a unique Swiss dataset and exploiting systematic anomalies in countries’ portfolio investment positions, I find that around 8% of the global financial wealth of households is held in tax havens, three-quarters of which goes unrecorded. On the basis of plausible assumptions, accounting for unrecorded assets turns the eurozone, officially the world’s second largest net debtor, into a net creditor. It also reduces the U.S. net debt significantly. The results shed new light on global imbalances and challenge the widespread view that, after a decade of poor-to-rich capital flows, external assets are now in poor countries and debts in rich countries. I provide concrete proposals to improve international statistics. Excellent overview of the impact and shortcomings of the Kyoto Protocol, 15 years on, by Dieter Helm in this Nature Comment. 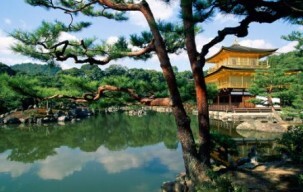 The main problem with the Kyoto approach is that it does not address the carbon footprint — carbon consumption. A country’s (and an individual’s) carbon footprint is best measured by looking at the carbon embedded in the goods and services that each consumes. Global warming takes no account of national boundaries. If a US consumer buys a car, it matters little whether the steel within it is made in the United States or China. The difference between carbon production and carbon consumption is not trivial. Take the United Kingdom: from 1990 to 2005, its carbon production fell by around 15%. But carbon consumption went up by around 19% once the carbon embedded in imports is taken into account2. From a Kyoto perspective, this is a triumph; for climate change, it is a disaster. It explains how emissions can apparently fall in Europe but go up globally as rapidly developing countries, such as China and India, export energy-intensive goods to Europe and the United States, which together make up around 50% of the world’s gross domestic product. The real villain of growing global emissions has been ignored: coal. Since the mid-1990s, coal has risen from supplying around 25% of the world’s primary energy to almost 30% now, in a context of a rapidly growing underlying energy demand5. Much of this coal burning has been in China, which switched from being an exporter to an importer of coal in the 1990s, and now accounts for a staggering 50% of world coal trade. Its share of global coal production is almost four times that of Saudi Arabia’s production of oil6. Around 80% of China’s electricity generation is coal-fired. China and India together add around three coal-fired power stations a week to their generation portfolios. Interesting overviews of the situation can also be found here about the actual impact of Kyoto commitments, here on the race to adapt to the inevitable changes looming, and here on the perspective of cap and trade schemes. As the end of the year approaches, let me post this reminder about the “Association Jean-Jacques Laffont“, of which I am currently the secretary. 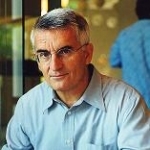 The Association Jean-Jacques Laffont’s aim is to provide scholarships to deserving students from developing and transition countries studying at the University of Toulouse. Created by his wife Colette in 2004, it actively commemorates the memory of Jean-Jacques Laffont in its most generous form. In the last years of his life, he spent much of his energy studying problems related to development, and during his career he supervised many students from Africa, Latin America and Asia. Since 2004, the Association Jean-Jacques Laffont has awarded eight scholarships to master 2 students at MPSE, from Pakistan, Cameroon and China among others. If you wish to contribute to the association, you can make a donation following the very simple guidelines shown here. Under the French fiscal rules, these donations qualify for tax cuts of up to 66% of the total amount. In addition, you can also help the association by passing the word around you. It is important to note 100% of the money collected is used to give scholarships. Of course, feel free to contact me if you want more details about the association. You can see some of Jean-Jacques laffont’s academic achievements here. Recently, the University of Southern California, to which he was also affiliated during his last years, created an experimental laboratory, LABEL, in his honor. It is good to see that he still inspires many among us. 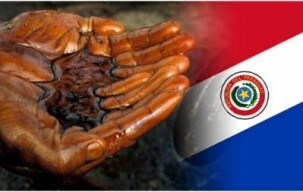 Como ya ha ocurrido varias veces en el pasado, se anuncia la próxima explotación de grandes yacimientos de petróleo en el Paraguay. 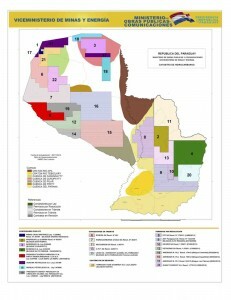 Aquí y aquí están dos post recientes sobre el tema de Christine Folch en su blog defringing Latin America, del cual he extraído también el mapa abajo. A título personal, me hace acordar del año 1993-1994. Vivía entonces en Juan León Mallorquín, Alto Paraná. Empezó a correr la voz que en las alturas del Pueblo, camino a Juan E. O’Leary, se encontraban reservas de petróleo que iban a transformar el destino de la región. A los pocos meses, aparecieron unos operadores bolivianos, empleados por un consorcio del cual formaba parte una empresa norteamericana. Al costado de la ruta internacional, sobre un terreno del que se murmuraba que había sido cedido a un precio apreciable por un jerarca local, empezaron los trabajos de perforación y exploración. En realidad, el emprendimiento resultaba menos impresionante que lo que se habían imaginado los habitantes del pueblo. No se materializó la marea de trabajadores de los que se esperaba que estimulen el pequeño comercio local, restaurantes y bares. Eran a lo sumo un puñado de obreros bolivianos quienes, al ponerse el sol, iban a gastar en uno de los dos bares del pueblo sus escasas ganancias para matar el cansancio y el aburrimiento de un día largo y en todos puntos similar al anterior. Tampoco era muy impresionante el sitio de exploración, apenas un par de forrajes pequeños, cuyos rasgos iban a desaparecer rápidamente bajo la maleza en los meses que siguieron el abandono del proyecto. ¿Cuál fue el resultado de dichas operaciones? Nunca se comunicó al respecto. Quizá el lugar no entregó rasgos de hidrocarburos. Quizá los tenía, pero en cantidad o condiciones que no justificaban su explotación. Unos años más tarde, ya de vuelta en Europa, tuve un sueño peculiar. Visitaba Juan León Mallorquín, transformado por la fiebre del petróleo. El pueblo compuesto hasta entonces de casitas bajas, la mayoría de madera, era cubierto de edificios altos, de metal y vidrio, y se sentía en él la tensión de estos lugares transformados de la noche a la mañana en Eldorado. En verdad, de alguna manera extraña, resultaba menos atractivo, más frio, que el verdadero Juan León Mallorquín que había conocido. En estos días, dicha historia se repitirá para alguna zona del Chaco, como sin dudas ha occurido ya en las numerosas áreas de concesión que aparecen en el mapa. Aqui se cuenta que se han perforados 48 pozos desde 1945; también se nota que transnacional estadounidense Dahava Petróleos, a cargo de la concesión, es duena de 6 millones de hectáreas en el sureste de Paraguay! Claramente, muchos de los entretelones de porqué y donde se anuncia y se busca petróleos nunca serán públicos. Sin embargo, con seguridad los anuncios seguirán alimentado sueños, aunque quedé por demostrar que estos alguna vez sean premonitorios.